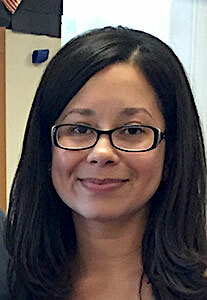 Grisel graduated from Quinsigamond Community College in 2003 from the dental assisting program, and furthered her career in 2008 with an Associate’s degree in dental hygiene and allied dental services with honors. Her goal is to provide patients with exceptional care and meet their oral health needs. She enjoys helping and educating patients with their dental health. In her free time, Grisel enjoys traveling, gardening, and spending time with her family. Before becoming a Registered Dental Hygienist, Allyce studied Dental Assisting at Blackstone Valley Regional Vocational Technical High School, which inspired her to further her career in the dental field. 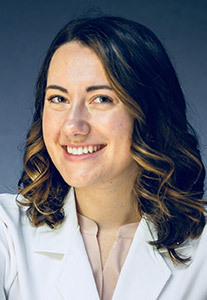 Allyce is a recent graduate from the Dental Hygiene program at Quinsigamond Community College where she experienced two years of clinical practice and involvement in the community. She was the Secretary for her Hygiene class and was awarded the “Exceptional Student Leader” award from the Massachusetts’s Dental Hygiene Association. In her free time, Allyce enjoys spending time outdoors and practicing yoga. She loves hanging with family and friends and enjoying life’s little moments. Allyce is excited to start building a relationship with her patients and is looking forward to meeting with you all! Lana believes that destiny is not what you have to wait for; destiny is what you make. She wasn’t born and did not grow up in America, but she feels as if she has always lived here. After graduating from the Kazakh State Medical University in 1988 in the Republic of Kazakhstan, Lana began an excellent career as a dentist by working for a governmental dental clinic. She completed several advanced education programs to keep up her professional medical knowledge. She graduated from Kazakh State University of the World Languages in 2000 where she received a Bachelor’s Degree in Liberal Arts. As a result, she won the International Scholarship of the George Soros’ Funds. Lana wanted to pursue her happiness and build her own destiny by her own way. Most importantly, she wanted to give her children an opportunity to build their own lives. After arriving in the US, the first thing she started looking for was a school where she could prove her diploma in order to return to dentistry. Lana attended Quinsigamond Community College and enrolled in the dental hygiene program. 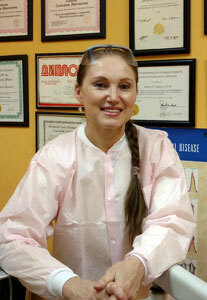 With ten years of hygiene experience, Lana is passionate about her job. She likes to be busy and be helpful to people, participates in a continuing education to keep up with the latest discoveries in dentistry, and gives advice and instruct the patients on basic oral hygiene skills. 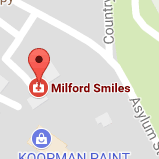 What she likes about Milford Smiles is that it has a very warm and welcome atmosphere where each patient is highly valued. Lana tries to be a role model and life coach for her kids. In her free time she likes to write, read, cook, sing, dance, figure skate, cycle, and exercise.